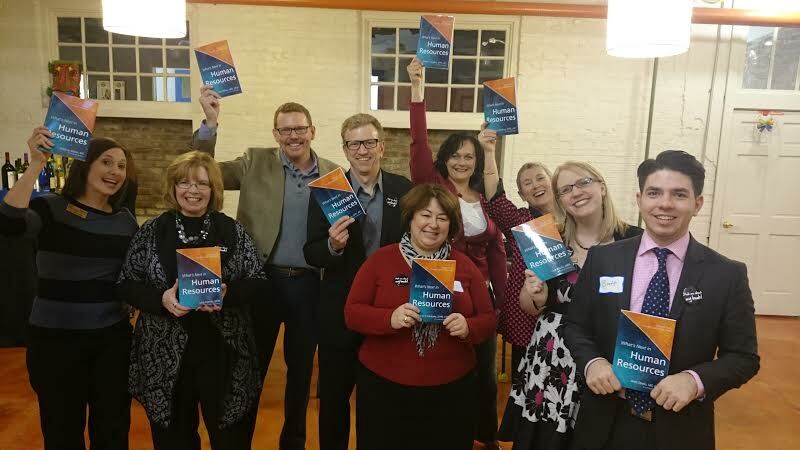 Cathy partnered with 17 authors in human resources and Greyden Press to create What’s Next in HR, a new anthology. The authors each wrote a chapter on a topic of their personal and professional interest, and they tackle a variety of topics, from talent management to office culture, with their own unique twists ranging from pop culture and television to data and modern science. Pictured from left: Whitney Martin, Lynn Ingmire, Alec White, David Braughler, Ann Mulcahy, Kristin Dunlevy, Cathy Fyock, Cara Silletto, Brett Steele.